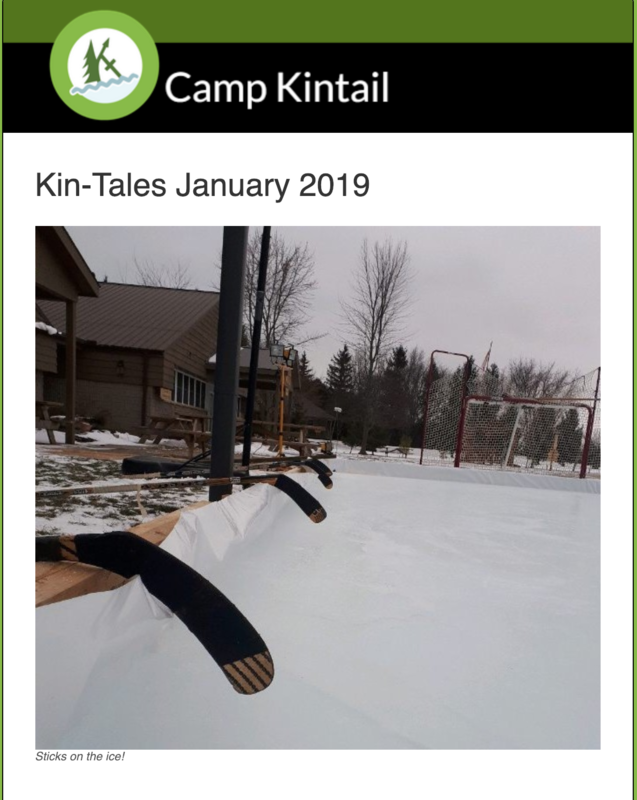 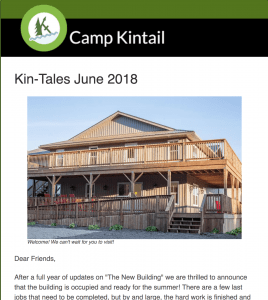 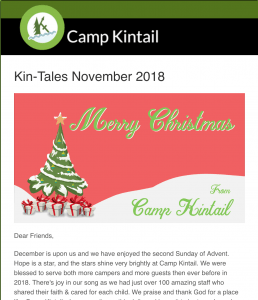 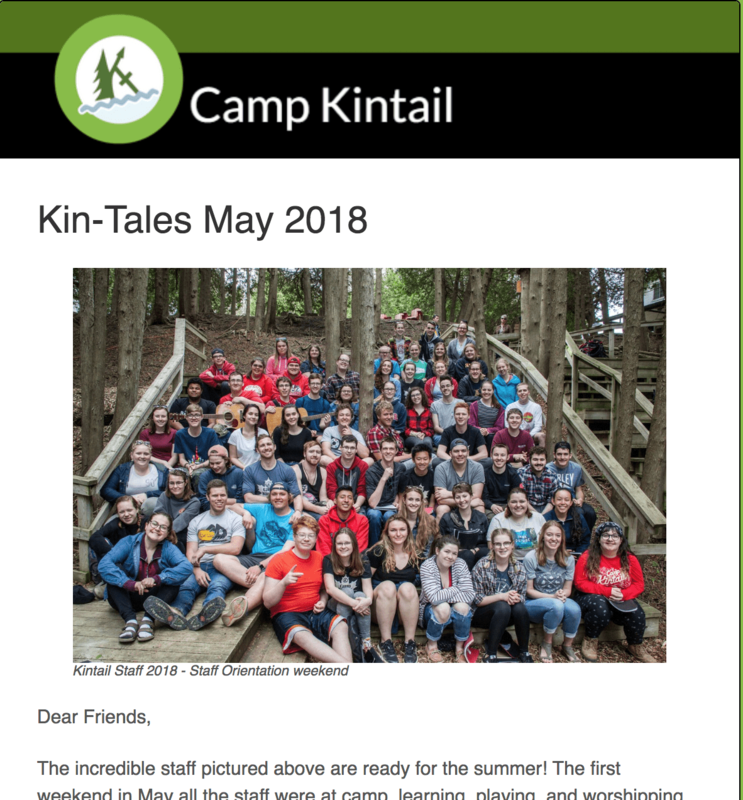 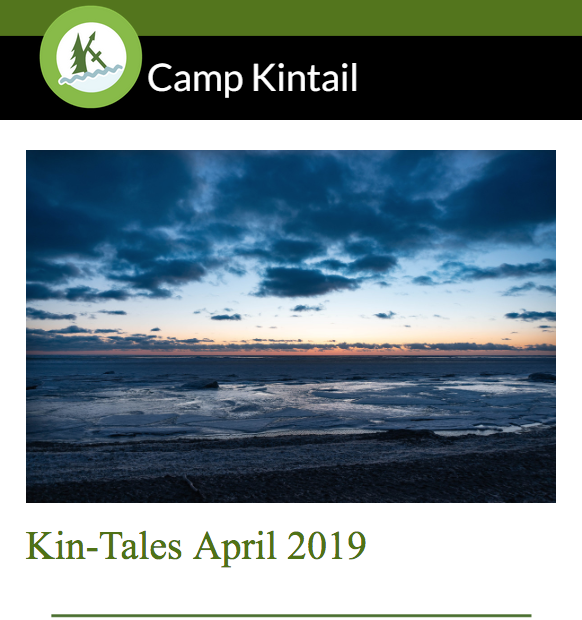 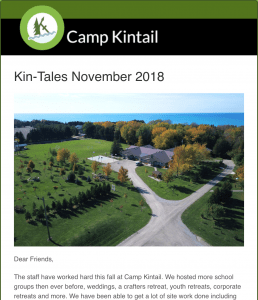 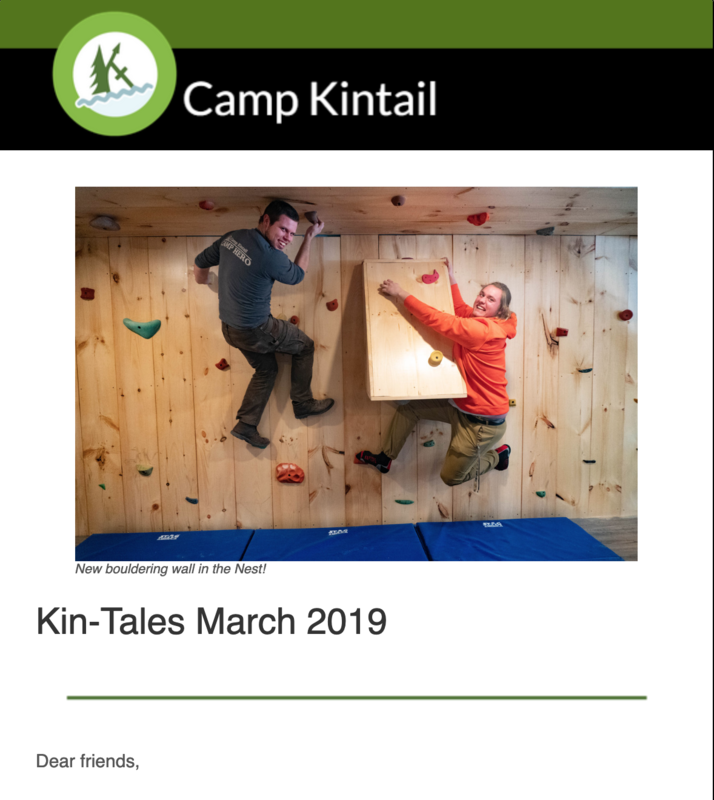 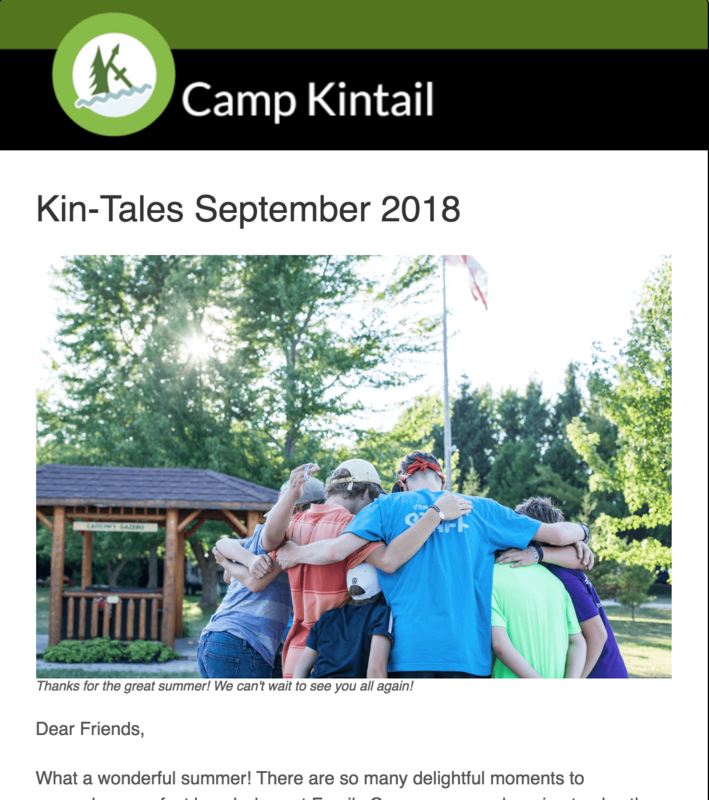 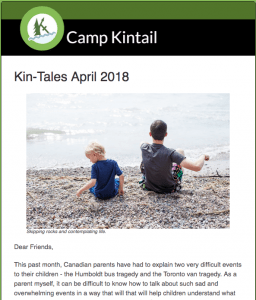 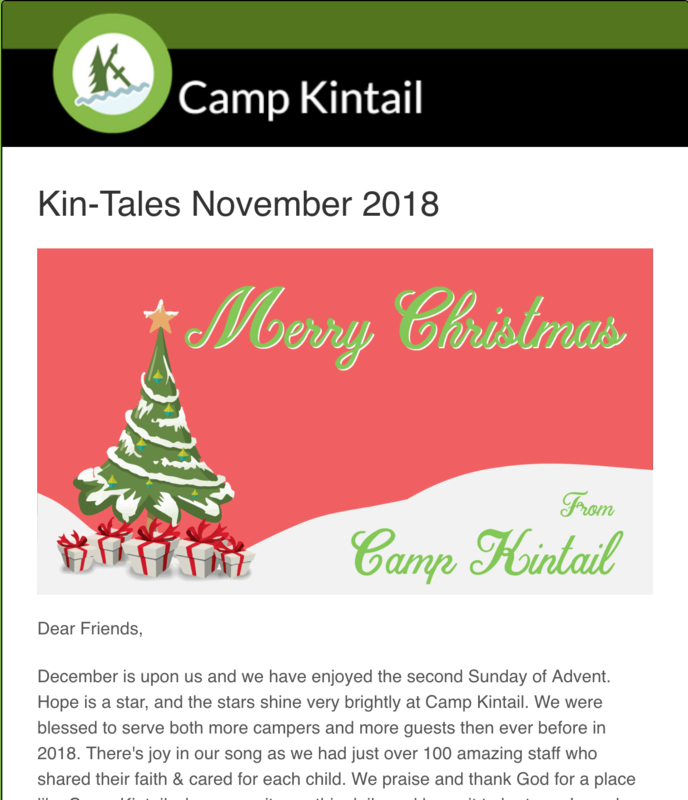 Kin-tales is the official newsletter of Camp Kintail. The email newsletter is sent out regularly to families and alumni with the latest news and updates from camp. 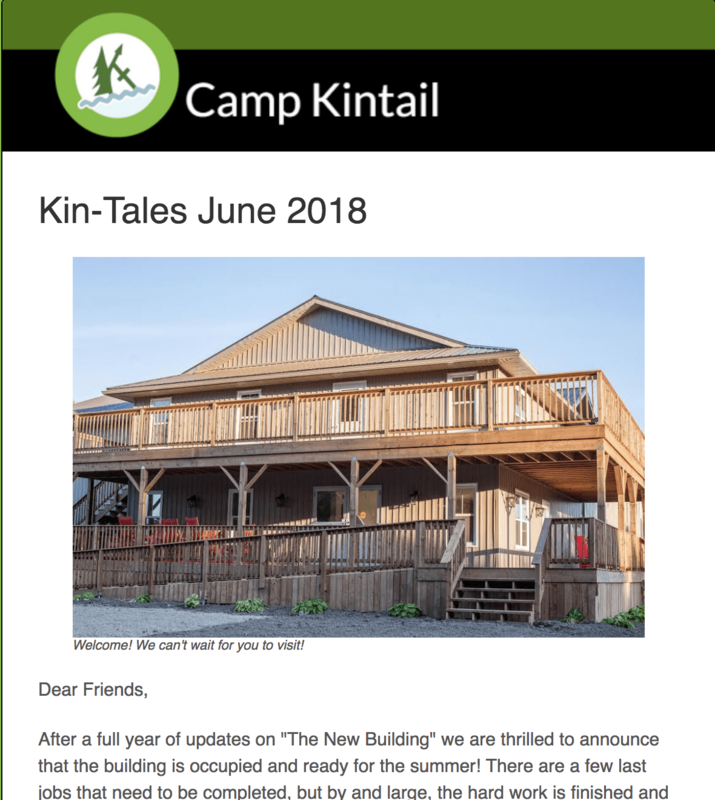 If you would like to subscribe to this newsletter service then please subscribe below.